Aloha is a Hawaiian word typically associated with greeting another person with hello or good-bye. The literal meaning of aloha is “the presence of breath” or “the breath of life.” It comes from “Alo,” meaning presence, front and face, and “ha,” meaning breath. 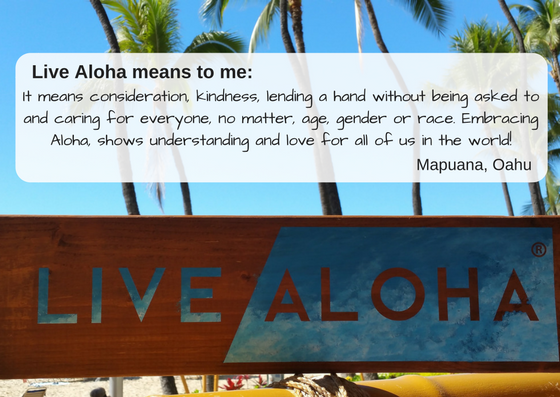 We are dedicated to promoting and inspiring people to Live Aloha…..wherever they are. Our focus is to recognize the uniqueness in others while we encourage peace, happiness and hope for all. Sign up for Live Aloha......wherever you are. Copyright 2015 © Live Aloha | Live Aloha - wherever you are.